← Job Search Mode: Engaged! 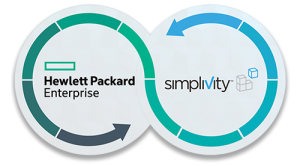 Yesterday, Hewlett Packard Enterprise announced that they had entered into an agreement to acquire hyperconverged infrastructure vendor SimpliVity for $650 Million in cash. This number comes in significantly lower than the rumors that had been going around, valuing SimpliVity as an acquisition target at as high as $3.9 Billion. Long-time readers already know I’m a long-time fan of SimpliVity (in fact, they’re one place I had contacted as part of my current job search). I’d been rooting for them to make it to the IPO stage. Unfortunately, the market hasn’t been kind to recent tech IPOs and it appears that SimpliVity’s investors have decided not to take the risks associated with waiting for the market to turn around. Here are my thoughts on the acquisition and what the future of SimpliVity might look like, in no particular order. This is a great move on HPE’s part as they had no competitive hyperconverged offering of their own. I’m concerned that we’ll see some of the innovations built into SimpliVity disappear over the next couple years. Outside of 3PAR, I can’t think of an HP/HPE acquisition that has smoothly added new intellectual property to the company. I expect the SimpliVity partnerships with Cisco, Dell, Lenovo, and Huawei to end either the day the deal closes or sometime before that. 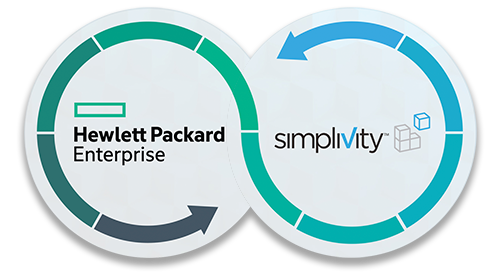 Reading the HPE press release, it seems clear (to me anyways) that HPE is acquiring SimpliVity for their OmniStack software. This seems odd when HPE sold off more of its software units, including their OpenStack and Cloud Foundry assets during the second half of 2016. If HPE can manage to incorporate the OmniStack software with its data deduplication and snapshot/restore capabilities, this will turn out to be a big plus for them. I’m not optimistic though. This entry was posted in SimpliVity and tagged Acquisition, Announcement, HCI, HPE, Hyperconverged, SimpliVity. Bookmark the permalink.